In supershear quakes, the rupture moves faster than the shear waves, which produces more energy in a shorter time, making supershears unusually destructive. The devastating 7.5 magnitude earthquake that struck the Indonesian island of Sulawesi last September was a rare “supershear” earthquake, according to a study led by UCLA researchers. Only a dozen supershear quakes have been identified in the past two decades, according to Lingsen Meng, UCLA’s Leon and Joanne V.C. Knopoff Professor of Physics and Geophysics and one of the report’s senior authors. The new study was published Feb. 4 in the journal Nature Geoscience. Meng and a team of scientists from UCLA, France’s Geoazur Laboratory, the Jet Propulsion Laboratory at Caltech, and the Seismological Laboratory at Caltech analyzed the speed, timing and extent of the Palu earthquake. Using high-resolution observations of the seismic waves caused by the temblor, along with satellite radar and optical images, they found that the earthquake propagated unusually fast, which identified it as a supershear. Supershear earthquakes are characterized by the rupture in the earth’s crust moving very fast along a fault, causing the up-and-down or side-to-side waves that shake the ground — called seismic shear waves — to intensify. Shear waves are created in standard earthquakes, too, but in supershear quakes, the rupture moving faster than the shear waves produces more energy in a shorter time, which is what makes supershears even more destructive. 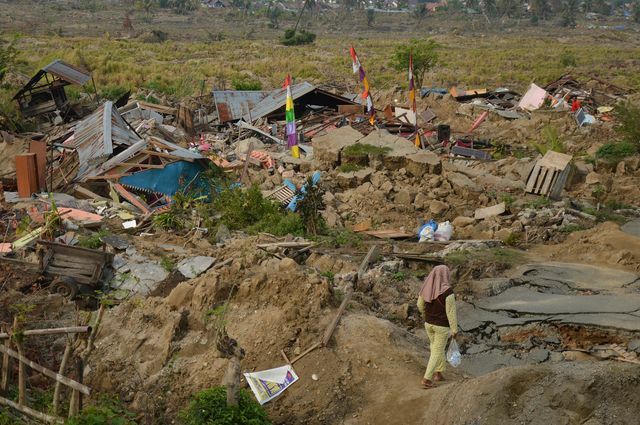 “That intense shaking was responsible for the widespread landslides and liquefactions [the softening of soil caused by the shaking, which often causes buildings to sink into the mud] that followed the Palu earthquake,” Meng said. In fact, he said, the vibrations produced by the shaking of supershear earthquakes is analogous to the sound vibrations of the sonic boom produced by supersonic jets. 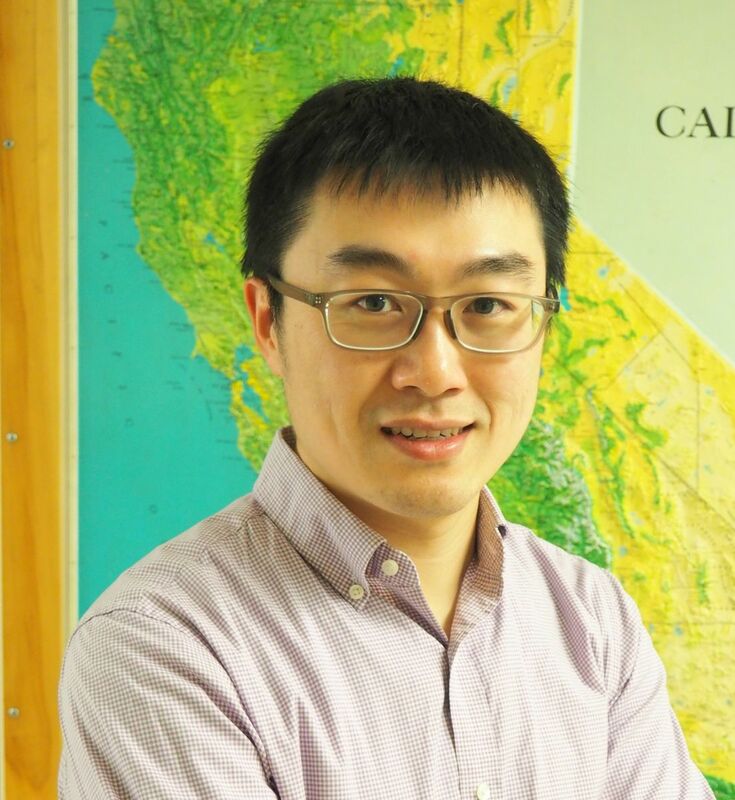 UCLA graduate student Han Bao, the report’s first author, gathered publicly available ground-motion recordings from a sensor network in Australia — about 2,500 miles away from where the earthquake was centered — and used a UCLA-developed source imaging technique that tracks the growth of large earthquakes to determine its rupture speed. The technique is similar to how a smartphone user’s location can be determined by triangulating the times that phone signals arrive at cellphone antenna towers. The researchers could then use that to determine the location of the rupture at different times during the earthquake. They determined that the minute-long quake moved away from the epicenter at 4.1 kilometers per second (or about 2.6 miles per second), faster than the surrounding shear-wave speed of 3.6 kilometers per second (2.3 miles per second). By comparison, non-shear earthquakes more at about 60 percent of that speed — around 2.2 kilometers per second (1.3 miles per second), Meng said. Previous supershear earthquakes — like the magnitude 7.8 Kunlun earthquake in Tibet in 2001 and the magnitude 7.9 Denali earthquake in Alaska in 2002 — have occurred on faults that were remarkably straight, meaning that there were few obstacles to the quakes’ paths. But the researchers found on satellite images of the Palu quake that the fault line had two large bends. The temblor was so strong that the rupture was able to maintain a steady speed around these bends. That could be an important lesson for seismologists and other scientists who assess earthquake hazards. “If supershear earthquakes occur on nonplanar faults, as the Palu earthquake did, we have to consider the possibility of stronger shaking along California’s San Andreas fault, which has many bends, kinks and branches,” Meng said. Supershear earthquakes typically start at sub-shear speed and then speed up as they continue. But Meng said the Palu earthquake progressed at supershear speed almost from its inception, which would imply that there was high stress in the rocks surrounding the fault — and therefore stronger shaking and more land movement in a compressed amount of time than would in standard earthquakes. 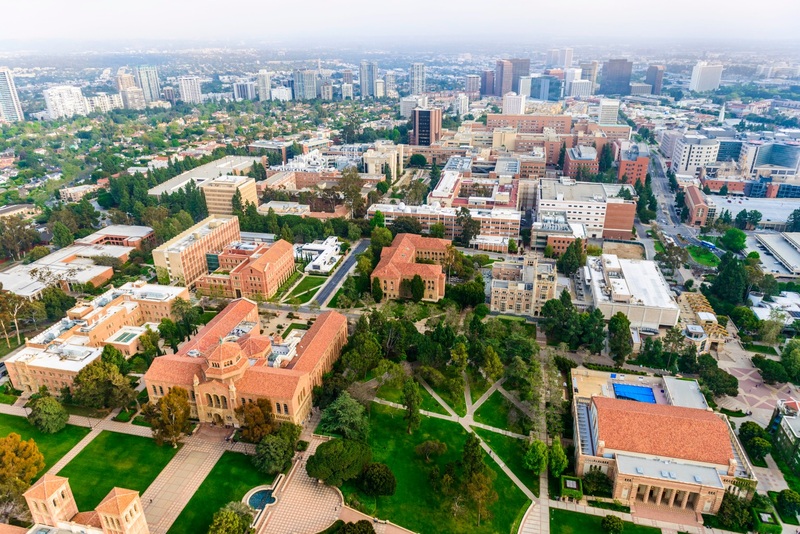 Among the paper’s other authors are Tian Feng, a UCLA graduate student, and Hui Huang, a UCLA postdoctoral scholar. The UCLA researchers were supported by the National Science Foundation and the Leon and Joanne V.C. Knopoff Foundation. The other authors are Cunren Liang of the Seismological Laboratory at Caltech; Eric Fielding and Christopher Milliner of JPL at Caltech and Jean-Paul Ampuero of Geoazur.